Sections 4 and 7 are intended mostly for investors looking to dive deep and could be read last if you so wish. For the consensus, Sections 5 and 6 provide perhaps the most value, though this will be determined in a year’s time. Regardless, please look for companies highlighted in blue that are relevant to you. This review is intended for your learning purposes, but it ultimately benefited me tremendously. So thank you. It’s that time of year again. Some of you may be thinking that it’s fairly late into 2018 to do a 2017 review. Well the reason is because I first started this formal investment process on April 29, 2016, so I consider April 30 my fiscal year-end. In unorthodox fashion, I will actually be reviewing the last two years’ results instead of just the last year’s, mostly due to reporting complications as I switched brokers in the first year. Starting next year I will present both an annual performance and “since-inception” performance. In summary, my portfolio more than doubled the Canadian index while coming in just a mutual fund fee shy of the S&P 500. I will provide further analysis in a moment. As some of you long-term readers may recall, I initially tried comparing my results to a portfolio consisting of the ETFs XAW and VCN, which encompass the Canadian and US markets. This would represent my opportunity cost as they are what I would invest in if I didn’t pick stocks. But I quickly realized that it was near impossible to account for distributions and contributions with ETFs, so I am instead using the indices above, which I think provide a fair comparison. As a new graduate, I am in a unique position where my money invested is substantially less than future expected income. Therefore, my cash position is very small because I expect to have much more in the near future. Avg. Cost is determined by dividing the total cost of the shares (including fees) by the total number of shares purchased—whether through one or multiple purchases. Dividends aren’t accounted for. For example, Emera’s returns are much better when dividends are accounted for. Some positions are paid for by the dividends of other companies (like Emera), enhancing the impact of those dividends. The time value of money is not appropriately represented for positions that were initiated across multiple purchases. Not included here are the sale of two companies: TD Bank and Nutrien (formerly Agrium). I made 29.0% and 36.1% on those sales, respectively, excluding dividends and including fees. Both companies are fine, but exceeded my return expectations and, after further education, no longer satisfactory for my portfolio requirements. So here’s the big question, how have I performed over two years? From an objective standpoint, I wouldn’t be very impressed; it’s been a strong bull market and 12% per year is nothing to write home about. But there are are a few reasons I can excuse myself. The first is obvious: I only invested in the Canadian market, which performed dismally. The second is that I unfortunately started investing right after the market had recovered from a bear market in early 2016. This was not because of hesitancy but rather lack of capital. The third is as follows. In the first few months of investing, I approached my investment portfolio much like a doctor would (and many stock pickers do). I prescribed a little bit of growth here and a little bit of high yield here to ensure a “healthy”, balanced portfolio. Minimizing short-term volatility blinded me from maximizing long-term returns. There are several positions I currently own that I would not have initiated if I were to start again (though I think their potential is enough to keep them for now). This brings me to one of my first and biggest lessons learned. Unfortunately for you, I learned a lot this past year. If you can manage to read everything, it will take minutes for you to learn what required months from me. This is a delicate balance, but here are some tips that I’ve developed over the last year. Operating & Net Income at Least Doubles Every 5 Years, Quadruples Every 10 (~15% per yr) – I say operating income because there can be various one-off circumstances that affect net income. For example, at the end of 2017 a new tax regime was implemented in the US. For the most part, this resulted in a one-time increase in companies’ net income. This had nothing to do with the underlying business. You also want to make sure Operating Cash Flow is growing at a similar rate. Take this rule as guidance rather than necessity though. The main exception here is if the last year or two have been slow business, preferably for the whole industry. But if the earnings would otherwise be on pace for great growth, and the market has beaten them up for a slow couple years, seize the opportunity. Historic Example: Such a business would be Geico when Buffett first identified them. The whole industry had been hit by a swath of natural disasters, resulting in insurance companies taking a profit hit, and yet Geico was still making very impressive margins and growing customers at an unprecedented rate. The market was ignoring this and abused their stock. Buffett didn’t blink. Recent Example: Logistec recently had a couple mediocre years in 2015 and 2016. They’re in the shipping and environmental business, and the economy as a whole had generally come to a halt. But if that hadn’t happened, I assumed they would have kept growing at their prior pace which was quite impressive. So I bought some shares, and sure enough 2017 got them back on track, and I expect 2018 to be a growth year. Current Examples: Bojangles and Chipotle which I wrote about previously. Recent Shortcoming: Richelieu Hardware is a company I’ve always been drawn to, perhaps for its simplicity. As a hardware manufacturer and distributor, it’s just a business that will always be relevant. I had done much of my due diligence by looking at ROE, debt levels, cash flows, profit margins, etc., but one thing I didn’t look at was their income and cash flow growth over the last decade. For some bizarre reason, they’ve only grown their EPS at ~9% per year. And in fact, ignoring share buy backs, it’s only been ~7.5%. Another indicator that something is awry is that their Operating Cash Flow has essentially flatlined over the last decade. What’s worse, is that their share price has grown much faster than this (~16% per year); the market has rewarded shareholders with growth the company didn’t achieve leading to very high valuations. It is unfortunate that I realized all this after purchasing shares (and at a miserable price too). I have yet to decide what to do, but am considering selling RCH and buying more shares of CCL.B and/or MTY. RCH isn’t a bad company, just not a pitch worth swinging at. Revenue at Least Doubles Every 10 Years (~7% per yr) – I was reading from Canadian investor Robin Speziale, and one thing he said that really stuck with me was that “cost cutting isn’t a business strategy.” Many companies can grow their income at the rates mentioned above by cutting costs, but all the while their revenue stay relatively flat. This is not good. You want companies to continue to rapidly increase their services/products’ price and volume (another concept I attribute to Robin). Of course, as a company does sell more, they often do realize economies of scale as their fixed costs become less and less meaningful. This can lead to income growing much faster than revenue, thus why my hurdle rate for revenue is lower than for income. ROE Consistently ~15% or More – A trick to this is to take Earnings per Share divided by Book Value per Share from Key Stats. Doesn’t need to be an exact science, book value just needs to consistently be less than 7x EPS. The greater the better. It’s also important to look at Return on Total Capital (ROTC), which accounts for debt as well, but this requires looking at the balance sheet and can be done later. One thing I learned this year is that most investors actually call this Return on Invested Capital (ROIC) rather than ROTC. Avoid Share Increases Like the Plague – There is perhaps no greater disappointment in my search for great companies than when I find a company that has grown revenues at a reasonable pace, and yet has also issued shares at a steady clip, eliminating most or all of the benefits to shareholders. I have yet to find a stock screener that searches for this. For some reason, markets can ignore this behaviour for an incredible amount of time, but make no mistake, it significantly erodes shareholder value and the stock price will eventually reflect it (if not already). If shares have increased, make sure to take that into consideration when analyzing revenue and income growth. Example 1: Park Lawn Corporation, while growing fast, has consistently issued shares. This can be more common for smaller companies, but it is not something I wish to see continue and will be something I keep my eye on. Example 2: Enbridge and its Income Fund have both issued vast amounts of shares to fund its recent acquisition of Spectra Energy. This is also a common practice. I believe management did this on the basis of significant future growth potential, though I’m not convinced. I personally will continue to hold my shares, particularly because I believe the industry will turn around. Further, Kinder Morgan is also in this situation and Buffett just pumped a ton of money into them about a year ago. I will be watching as the situation unfolds. PEG Less Than 1 and/or Historically Low Valuations –PEG stands for Price/Earnings to Growth and is more of an art than a science. To paraphrase, Peter Lynch suggests investing in companies whose annual growth rate is less than their forward P/E ratio. Meaning if a company is growing 15% a year but trading at a forward P/E of 10, buy, but if 20, don’t. The reason for this being an art, is that first you have to predict the growth rate. If they are consistent compounders, then their 10-year historic rate should be a good approximation. Then you have to determine the forward P/E. For companies with enough analysts following them, you can use the number on Morningstar’s Valuation tab. Otherwise you can just use the growth rate to extrapolate next year’s earnings and divide the current price by that. More accurately, sometimes CEOs will provide growth guidance (“outlook”), but you have to read their reports to know this. Not all good investments comply to this metric of course—P/E ratios vary from industry-to-industry—so it is also very useful to look at Valuation History on Morningstar. Click through all four metrics to see how the blue bars have changed over the last decade. Another thing to consider is that the faster a company is growing, the more you should be willing to pay up for it due to the effect of compounding. Because of this, an exceptional (usually small) company’s valuation may increase over time (within reason). Therefore neither of these valuation tools should be used in isolation. Interest Coverage Ratio – This isn’t something you can determine from Key Stats, but is something I learned this year. In the past I’ve said to look for a Debt/Equity ratio less than 50%, depending on the industry. Interest Coverage Ratio is much more versatile and is Operating Income divided by Interest Expense as found on the income statement. This should be at least 2. There’s only so many Amazon’s and Shopify’s. These companies push profits to the wayside for the sake of growing their customer base. They usually have visionaries in leadership. These are the companies that make the headlines. To my knowledge, Buffett never made lots of money in a company that wasn’t generating profits (at least in his Berkshire days, but correct me if I’m wrong). That’s not to say it isn’t possible. Clearly I think Shopify is a big deal, but these companies are very few and far between. Some would argue that Square is the next big thing (instead or alongside Shopify). I disagree, but the metrics used to determine this are far from reliable. It’s much easier to instead find companies with a long history of compounding capital at a high rate. 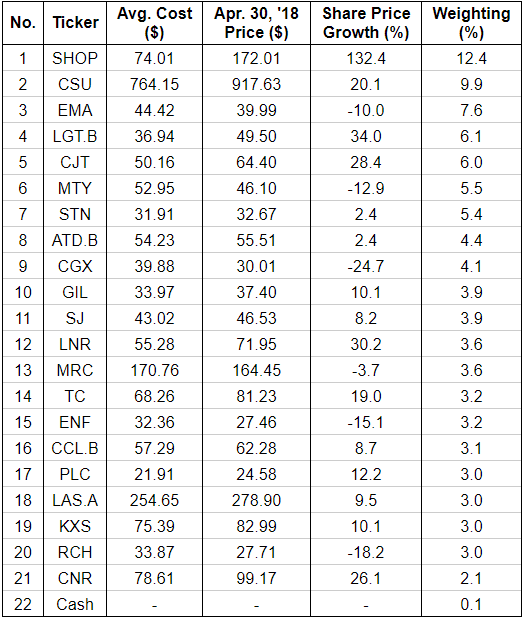 Further, it isn’t all that difficult to find a couple of these companies trading at or below fair value. The hottest business model of the 21st century seems to be subscription services. This was radically accepted in the software industry (i.e. Software as a Service, SaaS), but has since grown to other concepts too, including everything from Netflix to Costco memberships, and from Spotify to Amazon Prime. But if one really thinks about it, this has always been the goal of every successful company. Insurance thrives on this concept. Apple wants you to buy that next phone. And the next. Coca-Cola wants you to buy another bottle of coke. And another. Starbucks wants you to come back again. And again. In all of these businesses, the product or service is perceived as a necessity and the next-best alternative isn’t worth switching to, for various reasons. Earlier this year, I emailed about Sleep Country Canada and how I thought they made a fairly solid investment. While not bad, my mentor asked me a very pointed question: “How often do their customers buy a new mattress?” Well then. Got me there (recurring revenue is one of our club’s tenets after all). I personally can’t think of the last time I bought a mattress. That makes it very difficult to create lasting customer relations. He agrees that the company is well-operated, but the growth driver isn’t great. (Also, expanding outside of Canada will prove difficult). Do yourself a favour and Google the following before making your next investment: “Company Name” + “CEO Name.” Go through 3-5 pages to see what comes up. Articles, videos, anything. Does the CEO have a sketchy past? Does their lifestyle or business decisions seem greedy in nature? Worst case scenario, his/her name doesn’t show up. If this is the case, it’s probably for the best. There was one particular company this year that really exposed me to this. Ubiquiti Networks (UBNT) is an Apple-esque company (all-white products) started by a former Apple engineer a decade ago. They design and manufacturer premium network devices for incredibly low prices. Both their employees and customers are not only incredibly engaged but report high levels of satisfaction with the company and their products. They were growing like gangbusters with an ROE of 30%+. Golden investment opportunity, right? Well, I sat on the idea for awhile, and one day, the SEC issued a subpoena to UBNT. If you’re anything like me, you’ve never heard of this before. Essentially, the SEC was investigating the company’s financial practices. Well! That came as a huge surprise to me. Of course this doesn’t mean the company has done anything wrong, but the SEC doesn’t issue these without careful consideration. I sat there dumbfounded. How could I have possibly anticipated this? Well, some fellow investors were quick to point out that the CEO has quite the presence on Twitter. His arrogance and immaturity is seen here, here and here (the last one is just his profile, but seriously, the Hulk as your cover photo?). It’s not that arrogance automatically results in company failure—perhaps there is nothing wrong at all with Ubiquiti’s financials (the jury’s still out)—but do you really want to risk your money with a guy like him? As retail investors, it’s quite often better to err on the side of soft-spoken CEOs who reward their investors year-in and year-out. This lesson fared me well when I came across a company called Element Fleet Management (EFN). I was looking for value plays in the Canadian market and stumbled across EFN. I was familiar with them because I had a colleague who worked for GE whose vehicle fleet is managed by EFN (or at least used to be…). The company had again grown like crazy, but was implemented a new software and was having some issues with the implementation process (or so they said). I spent hours investigating this company (also a red flag—an investment should be obvious), trying to ensure I wouldn’t be catching a falling knife. Customers and employees alike both had great things to say about the company in general. But I learned my lesson. I looked up the CEO and came across this article. Steve Hudson doesn’t exactly have the cleanest track record. In fact, he has started a fleet management company in the past—a company called Newcourt. Investors got burnt. The company had engaged some shady financial instruments that most investors couldn’t understand, but nobody complained because the company was growing rapidly. All was fine and dandy until what is known as the Russian Ruble crisis of 1998 (the year is important because there was another one in 2014 lol). I won’t go into the details, but basically investors lost a lot. I also found that Hudson is paying himself an exorbitant salary (fourth highest in the country). I think I’ll pass. Next, Google “Company Name” + “Glassdoor.” Ideally you want a 3.5 or above, but anything above a 3.0 is satisfactory. Anything in the 2 range is worth some hesitation. This analysis really only works for larger companies, and it is important to recognize that generally the people who go out of their way to leave a review are the ones who have complaints. That’s why a 3.0 is tolerable. Shopify was the highest ranked in Canada at 4.5, though they have since dropped to 4.1. Some examples of companies that I was interested in but decided to not invest in were Black Diamond Group and Magellan Aerospace, scoring a 1.7 and 2.3 respectively. In fact, Richelieu only scores a 2.0, which also underscores the need for me to reevaluate my investment in the company. I’ve read countless examples of distressed (yet excellent) businesses that Buffett has bought when the timing was right. One example is the Salad Oil Scandal of 1963. The short story is a con-artist had persuaded American Express to lend him a large sum of money. AmEx certified inventories of various businesses who would then use this as collateral for a loan from the bank. The scam was based on simple science: when salad oil was poured on water, it rose to the top and formed a film. By filling tanks with water, and then adding a little salad oil, Anthony De Angelis fooled AmEx into thinking that the value of what he owned was $175m in soy-based oil rather than contaminated, worthless water…Problems only began when a few inquisitive souls began to wonder how the soy bean oil supposedly stored in De Angelis’ tanks contained more soybeans than the output of the entire industry. In November of 1963, shares of AmEx plummeted. And Buffett picked up as many shares as he could!! …Well that’s where the story usually ends. What people don’t often acknowledge is that Buffett didn’t actually buy until January 1964, two months later once AmEx released their earnings. Buffett not only waited (unknowingly) for this crisis to happen, but once it did, he did his due diligence and waited another two months before buying! Wow. What he likely understood is that often markets often overreact to earnings releases, and sure enough they did. Buffett says on average him and Charlie only buy two companies a year, and this number is actually skewed upwards by the years—often during recessions—when they buy several in one year. Every year there is a new crisis. Some more opportunistic than others. 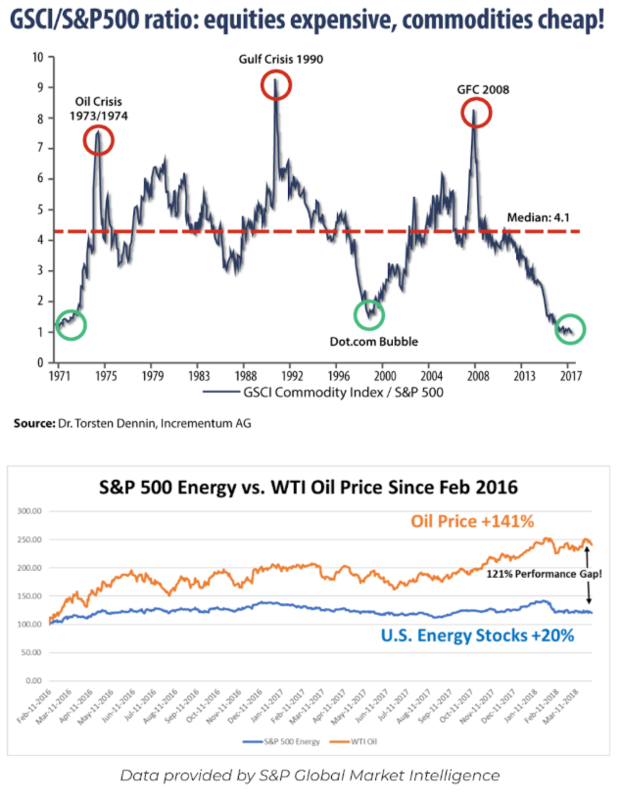 2016 was oil. 2017 was retail. In between there was pharmaceuticals, restaurants, and perhaps others! The lesson here is to keep an eye open for these, and when opportunities do arise, to act with reason and patience. For this reason, I don’t disclose distressed companies I discover to the club until I believe the timing is right. But believe me, my patience could still be greatly improved. My impatience was fantastically displayed soon after Cineplex released their brutal earnings (or lack thereof) last summer. After a 15% reduction in my investment I figured it was a great time to buy. Clearly I was wrong. As I discuss later, both valuation and the magnitude of the poor results should have signaled for me to wait. Further, Cineplex wasn’t growing at near the rate that AmEx was. But where should you look for these potential opportunities? One of these examples is Morguard, which I discussed earlier this year, buried in the unloved retail environment. Couche-Tard perhaps also falls in this category with convenience stores. On the flip-side, one has to think of a company like Netflix who is fighting to maintain control of the video streaming market. But beyond lousy industries, Lynch also discusses looking into neglected markets. That was the basis of my discussion on Bojangles and Chipotle. Their markets are actually quite strong and competitive, they just got neglected. So we’ve been hearing for months (years?) that market valuations are getting out of hand. In the US, for the most part, yes. In Canada, for the most part, absolutely not. That being said, there is a reason Buffett has been buying up shares of Apple. The new tax law is no joke. It’s here to stay and will have a very real (mostly positive) impact on companies with American business, particularly those who are efficient capital allocators. As of last year, Apple had more cash than Canada and the UK combined, but most of it was off-shore so they were unable to access it. This new law allowed them to repatriate it for dirt-cheap and shareholders are demanding their fair share (via dividends, share buybacks, etc.). Of course there are other reasons to invest in Apple. Their customers are addicted to their product, and their shares are actually trading at quite reasonable valuations once considering their pile of cash. But I will admit, they are growing much slower nowadays. Buffett just has very limited options for his money. But it’s not just Apple. Every company with US earnings (including some Canadian companies), has gotten an injection of cash into their business and will continue to grow for the foreseeable future. That being said, with all this renewed optimism in American business, there will be a point where it gets out of hand. But I personally believe we have awhile to go before that happens. I still do not see the kind of market euphoria that has historically preceded large market corrections. Both the U.S. and Canadian governments have consistently increased interest rates as of late. I am glad to see this; for awhile there I was concerned that Canada might venture into negative interest rate territory as Europe did awhile back. Canadians are laden in debt and this has been a good reality check for many. Hopefully it leads to more conservative spending rather than drowning in higher interest rates (though this isn’t promising). In the business world, this means that’s companies with high debt levels will have higher interest expenses going forward, reducing their earnings potential. These companies are often the ones that also offer high dividend yields. For some reason, there is this theory that as rates go up, investors would rather switch to bonds (whose yields increase as a result) as opposed to other high-yield companies which are “riskier”, such as utility stocks. While this theory appears to make sense at first, one has to realize that if interest rates continue to go up, bonds are a terrible investment. This is because new bonds would have a higher yield than the ones investors already hold, which reduces the value of the older ones. (This is only if interest rates continue to go up, which I don’t necessarily think will happen). Of course, bonds pay you the same amount regardless, but if you were to sell the bond you would lose money and also an investor’s purchasing power declines because as interest rates go up, so does inflation. There are situations where investing in bonds can be very profitable, but these situations are few and far between. So please consider wisely. Meanwhile, companies like Emera will continue to grow, albeit perhaps slower due to increasing rates, but at least one has a chance of growing their investment, unlike with bonds. Emera has grown their cash flow per share nearly 13% per year over the last decade. Historically, 30-40% of this cash is paid out as dividends to investors, with the rest going towards growth. 90% of the company’s earnings are now regulated! Right now investors have the opportunity to buy a wonderful, stable company for a very rare discount, while also collecting a very tidy dividend every quarter. Unlike a bond’s interest payments, Emera’s dividends increase every year. As much as I like this company, after discussion with my mentor, and with consideration of the opportunity cost, I will be selling Gildan in the near future. Every event I go to, I see Gildan’s name. The university hoodie I’m wearing right now is made by Gildan. They have done a terrific job of growing their printwear division which allows for end users to screen print whatever designs they want. But that doesn’t negate the fact that one third of their business is still in branded apparel. Consumer brands in general, not just ones owned by Gildan, are facing major headwinds as the retail landscape shifts dramatically. The retailers that have survived have become very powerful and very demanding of suppliers. In many cases, retailers such as Costco have developed their own brands and essentially eliminated all shelf appearances by consumer brands. Even seemingly unassailable brands such as Kraft or Gillette are under immense pressure. This dramatic landscape shift is also due to changes in consumer preferences. Consumers are more informed than ever and are on average striving to live healthier and more sustainable lifestyles. Only the most prolific and innovative brands will survive. Unfortunately, Gildan’s brands such as Anvil, GOLDTOE, Secret, American Apparel and even Gildan itself just don’t have this weighting in the marketplace. Very few customers would miss them if they were to disappear, and just as many are likely to seek them out online. Even before 2015, when the company started to run into trouble, Gildan wasn’t growing near fast enough for my portfolio’s standards. The company smells of bureaucracy and excessive executive compensation. To paraphrase Peter Lynch, the more colour and pictures there are in the annual report, the less inclined I am to invest. Constellation Software doesn’t even do an annual report! Just a black-and-white president’s letter. No wonder I love the company. While the prospects for printwear are promising, there are other companies in my portfolio who offer a higher rate of return. Believe it or not, Cineplex is actually a relatively stable company. One wouldn’t know it from watching their share price plummet last year though. Cineplex certainly wasn’t my finest investment. Interestingly enough, I was actually very hesitant when I first invested a small amount two years ago (sure enough, that is not a good state to invest under). Why was I hesitant? There were two primary reasons. The first was that although they had continuously increased dividends, it was by very small increments, somewhere in the range of 3-4% annually. What would have been an even better reason was that their operating income was basically flat over the prior 5+ years. This evidently goes against our current standards. The second reason was their valuation, and sure enough, this is where the real problem lied. Technically there’s no such thing as a bad company to invest in if you pay the right price. I certainly didn’t. I recall that they were trading at roughly 40 times earnings at the time, and their 5-year average was 30 (if I had looked back even further I would have seen it was closer to 20). I knew little about value investing at the time and I eventually convinced myself that they deserved this valuation since they dominated 80% of the theatre market in Canada. And since management was focusing on diversification I figured they were safe. Unfortunately, with such high valuations comes high expectations. So when Hollywood had one of the worst summers in two decades, investors started to question the price (justifiably so). So that explains the mistake in my first investment. The mistake in my second investment was exactly what I discussed in the prior section about not being patient and letting the dust settle. I have since made a third investment in Cineplex. The verdict is still out on whether this was a mistake or not. But let’s discuss what happened in the most recent quarter. The ensuing discussion is more of an affirmation for current shareholders (as many of us are) rather than an analysis for a great investment. Cineplex isn’t my favourite company, but I do think they are a fine investment. So, Q1 results were rather bleak to put it bluntly. Attendance dropped 9% versus Q1 2017 and adjusted free cash flow per share was down 11%, while revenue was down just 1% due to their new initiatives. But if you take a step back, it wasn’t really all that bad. The only good movie for the quarter was Black Panther which provided 22% of box office revenue. The next was Jumanji…so, ya. 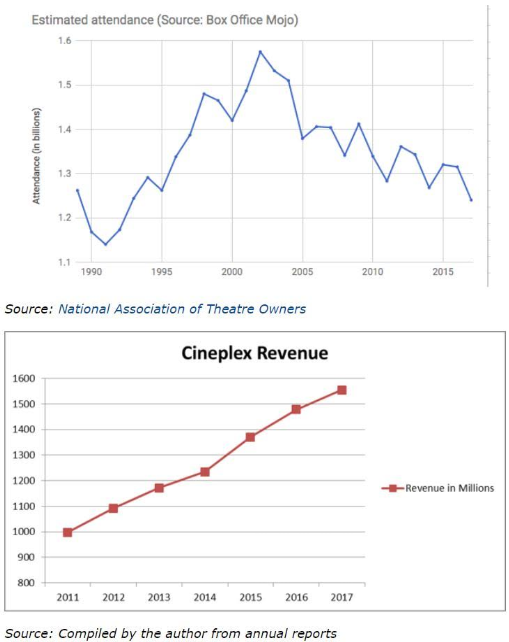 So while theatre attendance has actually declined over the last decade, Cineplex has consistently increased their revenue almost every year (including 2007-2010 which aren’t shown on the second graph). This is an indication of exceptional management, which has been apparent as they have ambitiously pursued diverse business opportunities. I will say though, that I am more concerned about profits than revenue as many of their new initiatives are lower margin than theatres (they make a killing on popcorn). So what else is Cineplex doing? Well, with new laws in Ontario and Alberta, they are now offering alcohol in their theatres which I imagine will be quite the success. They are now focusing on premium theatre experiences (i.e. reclining seats, food service) so that while people are going to the movies less often, they consistently prove that they are willing to spend more per visit. Their media business is expected to be strong in the second quarter as they were selected by McDonald’s largest independent franchiser, Arcos Dorados, to deploy, maintain, and operate digital menu boards in locations throughout Brazil, Argentina, and Uruguay. Amusement revenues grew 20% year-over-year, with much of that driven by 255% growth in Rec Room revenues, which now makes up more than 4% of their total revenues. New locations are being opened in Newfoundland and Winnipeg. Store level margins are now 20% which is actually surprisingly solid. Lastly, they have once again increased their dividend, reinforcing confidence in the company. They are also converting one Ontario theatre to a Playdium and will consider other future conversions. They’re trying UberEats for their concessions from some of their locations (lol); apparently there’s significant interest for it. The first Canadian Topgolf location should be built in 2019. They are expanding their VR movie experiences (called the VOID) as demand calls for it. 25% of Canadians now have a Scene card membership and Cineplex is exploring additional ways to monetize the 11 years of data with Scotiabank. A movie subscription model has been considered and would be implemented if deemed beneficial to both the company and consumers, including potential online viewings (similar to Netflix but for new releases). Customers can already watch new releases online but prices are similar to other “on-demand” services. Regardless, this service’s popularity has grown rapidly, with 54% growth in active users since last year (but still less than 2% of total revenue). Cineplex has also promised a $25M annual cost reduction starting this year via salary cuts, technology, automation, and other cost-cutting initiatives on the management side of the business (in addition to initiatives already taken place on the operational side to offset minimum wage increases). Lesson learned kid, lesson learned. I have frequently flaunted Cineplex’s 80% theatre market share without realizing this. That being said, they have plenty of room to grow beyond theatres. If you own this stock, I wouldn’t worry. I personally will continue to own it, but as I said, there are better places for your money (see the last section). Treat this as a high-yield company with slow growth. 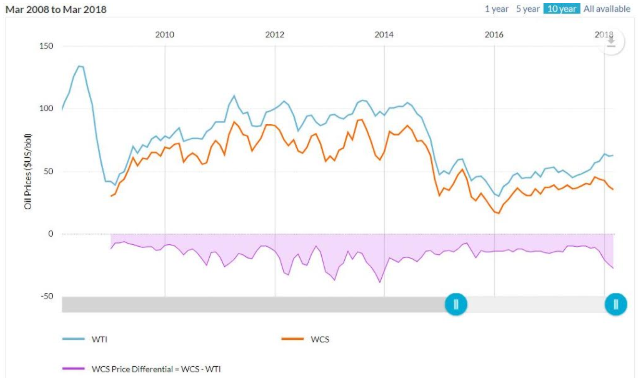 I don’t want to spend too much time on this, but I have been saying for awhile (perhaps too long) that the oil industry is destined for a rebound. I’m not one to try and time markets, and I only like investing in price-setters not price-takers (i.e. companies who have to “take” whatever price the commodity gives them), so Enbridge Income Fund is really my only exposure to oil. And quite honestly, I can’t say I’m incredibly fond of this investment either. It’s pretty much impossible to find companies that meet our standards in this industry, but I do think the market is unfairly punishing the stock. Now I’m not going to pretend I know how you can best play this inevitable rebound. That’s not within my circle of competence. But from a pure operational excellence and diversification perspective, Vermilion (VET) is my favourite producer—they operate in many countries around the world, and thus are exposed to a variety of O&G prices, and are recognized as a top employer in many of these countries (among all industries). I’m no expert, but the CEO seems to have a very good handle on the business. But this is no secret to the market and they are definitely priced at a premium to other producers. An unusual stock in that it benefits from both high oil prices and low natural gas prices. Methanol has many applications – it’s used in the production of paint, plywood, sealants, synthetic fibres, windshield washer fluid and chemicals such as formaldehyde. It’s also used as an alternative or additive to gasoline, hence the close relationship with oil prices. Long-term demand for methanol is a pretty safe bet, and Methanex is the world’s largest producer and distributor of the chemical. Meanwhile, natural gas is the company’s greatest input cost, so the supply glut brought on by the fracking boom helped lower the company’s costs considerably. Lastly, perhaps one of the safer ways to play the rebound is to invest in a company like Morguard who just invested heavily in Fort McMurray hotels. Or perhaps CNR who will benefit if pipelines continue to be stifled by regulation (though I liked it better when it was closer to $90). If you do decide to explore this sector, I would be very cautious around the oil sands. The current regulatory environment in Canada is not very conducive to this business (and that’s an understatement). The U.S. shale regions are seeing much more growth. MTY Food Group (MTY) – The CEO, Stanley Ma, just stepped down from CEO after 39 years of service. He will remain the board director. The valuation is crazy low considering the growth of this company. Stella-Jones (SJ) – Management is guiding for an okay first half of 2018 and stronger second half. CNR and other rails are promising heavy capital expenditures this year. SJ management keeps acquiring companies. Brian McManus is one of Canada’s premier CEOs. Valuation is enticing. Emera (EMA) – I can count on one hand how many times Emera’s stock has pulled back 20% or more in the last 20 years. On every metric except earnings (because one-time effects) this is the cheapest they’ve been in a decade. Another company to keep an eye on is Tucows, a high-growth telecom (among other things). Their earnings are a bit lumpy, and will continue to be as they build their Ting Internet network. But the result will be a high-growth company in a notoriously stable and lucrative business. It will be like investing in BCE when they started except in an environment where the demand for data is enormous, and with a company that has world-class customer service (no offense to BCE). The same goes for Cargojet. I realize this company’s financials don’t align with many of our standards, but they are unique because they essentially have a monopoly on Canada’s air cargo market. Similar to commercial airlines, the air cargo business is very tough, with very high capital expenses (hence the high debt and negative income in years’ past). Unlike airlines though, they are able to pass the all fuel surcharges (and savings) onto the customers, therefore they benefit from a “fixed” expense in that regard. One big thing to realize with Cargojet, and with some of these other small companies (i.e. Tucows, Shopify, Kinaxis, and Logistec), is that once they get a big contract—much as Cargojet did with Air Canada a couple years ago—other potential customers now know that the company is proven and able. I have a feeling that new contracts may start to flood in (only three customers make up 63% of their revenue right now!). A clear example of this was with Kinaxis. Last year they got Ford on board, and just recently Volvo became a major client as well. It’s a domino effect. You know by now my favourite companies are CSU and CCL. I intend to add more to CCL and MTY in the near future, with potential allocations to MRC and ATD as well. But I never know what Mr. Market will offer me next! I will do my best to update you on any major opportunities. Everything Buffett (ugly, only text) – I’m slowly chipping away at these. I find them easy to pick up and start at any time. Go on forever though. I know it was a super long email, but if you have any questions or comments, as always, shoot me an email. Thanks so much for reading and have a happy 2018! Like the analysis but don’t know what to do? If you want to see more of this thorough analysis (but better), InvestorsFriend is the place to go. I partnered with InvestorsFriend because many of my readers just wanted a professional to suggest EXACTLY what to invest in.